WS-iCloud Calendar is a simple but extremely powerfull Joomla Calendar Extension as Module. 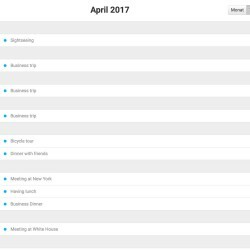 The Main Source is the iCloud Calendar, but it's also possible to use Google Calendar and Microsoft Outlook Calendar with the iCloud Addon. We have also checked a lot of Calendar Extensions for Joomla for our Projects and Clients but haven't found a Module that was easy to use and not bloated with 100 of unneeded Features that make a Extension to complex to manage. So we have decided to build our own, simple to use and setup takes only 2 minutes. 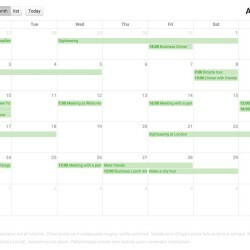 If your Calendar has a lot of entries there is really a lot to get from the API so we made it possible that you can activate a smart Cache for the Events which is fully controlled by you. A very smart and flexible Feature is the way how to display the Events. You can enter the calculation base, for example the current day. And then set the days before and after, so for example you can display 3 Events before the current day and 10 Events after the current day to hold your calendar simple and not overfloated. But of course it's also possible to display all events or only events in the current month. 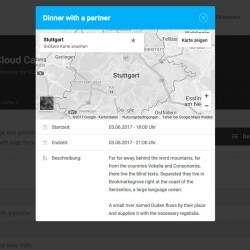 The Date Format can be easily controlled in the Backend and is suitable for nearly every Country, no matter if you're from Germany or United States. It's possible to load the required Font Awesome Icon Font or you can disable it when your Template already loads a Version to prevent the Double Loading of the Icon Font. Of course you can also easily update to a newer Version if there is one available. It's also possible to include some kind of Text before or after the Date, this can be useful for some Countries or for example if you want to include a small message after the Date. Nearly every Element at the Calendar or the PopUp can easily be translated. The Calendar is pretranslated in a lot of Languages and the other Strings can be translated in the Joomla Backend directly in the iCloud Calendar Module. For default only one Layout, the Calendar Layout, is available. But for developers which have some skills in PHP it's also possible to create own Layouts, for example simple Lists or similar. This is also working with the default Joomla Template overrides. 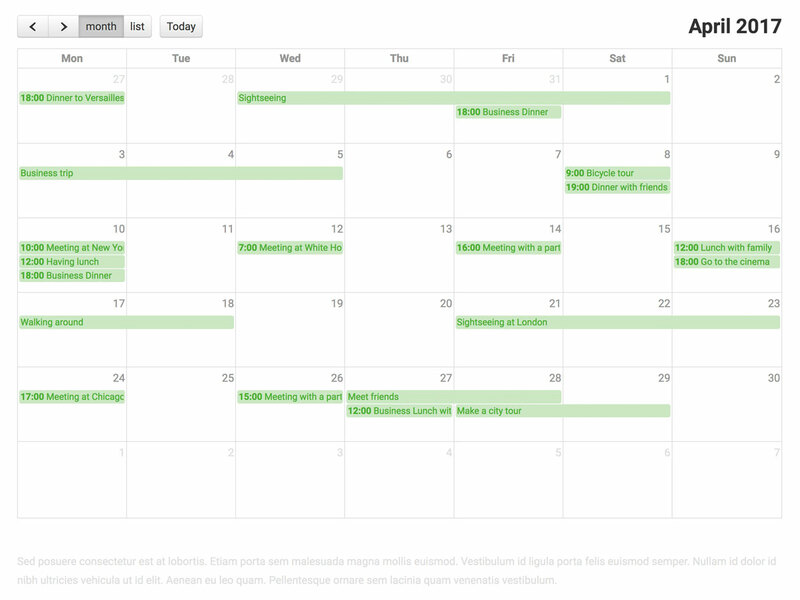 There are 9 predefined Calendar Views to choose from. 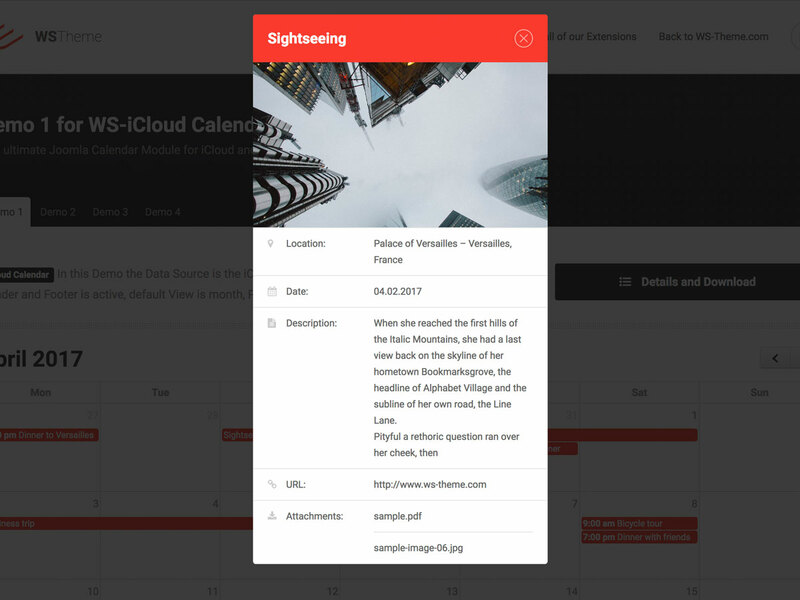 With a simple Dropdown you can define your favourite Calendar View for the Joomla iCloud Calendar Module. It's also possible to display the week Numbers in the Calendar View. It's your choice to display them and in which way. 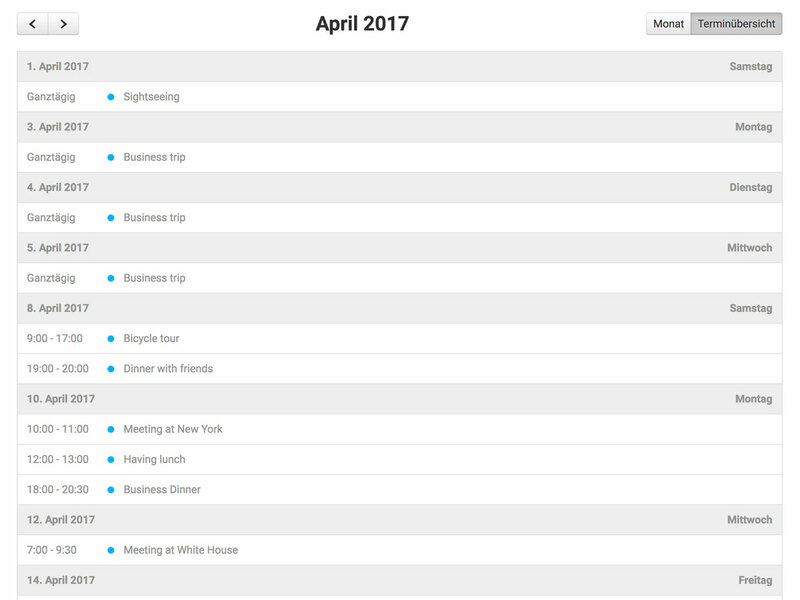 They can be turned off, included inside the Calendar or displayed in a seperate Column. In the Backend you can decide at which day the Calendar should start. For example for some Europe Countries the Week starts at Monday and in some other Countries the week starts at sunday. Also it's possible to hide some days where you not want to display, for example hide the saturdays and the sundays when you have no Events at the weekend. 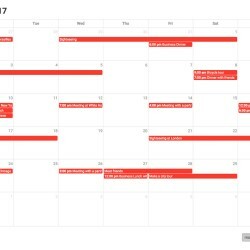 The Calendar is also working for Countries which have a Right-to-Left Layout. Simply decide in the Joomla Backend to set RTL Management to on. 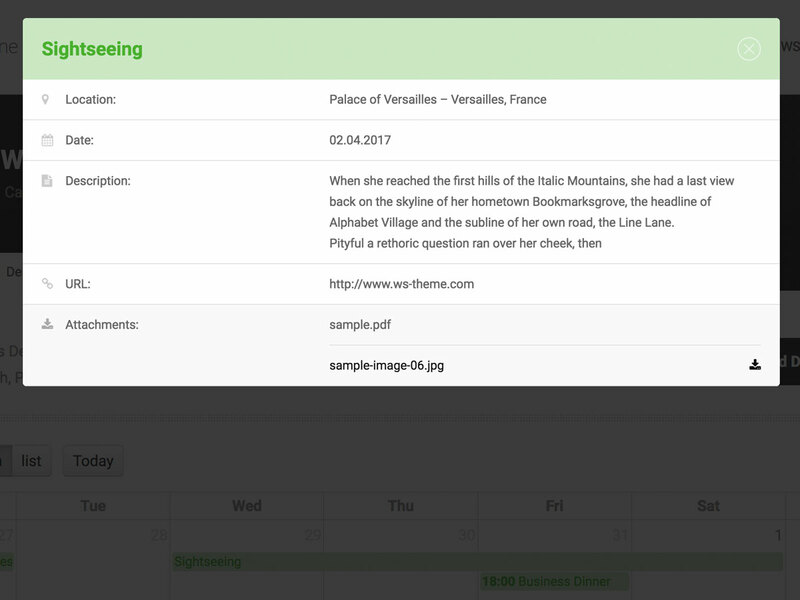 The Calendar Header and Footer can be completely customized by you. You can turn them off (of course seperatly) or turn them on and customize them. We have included a rich Documentation inside of the Module how to setup them. 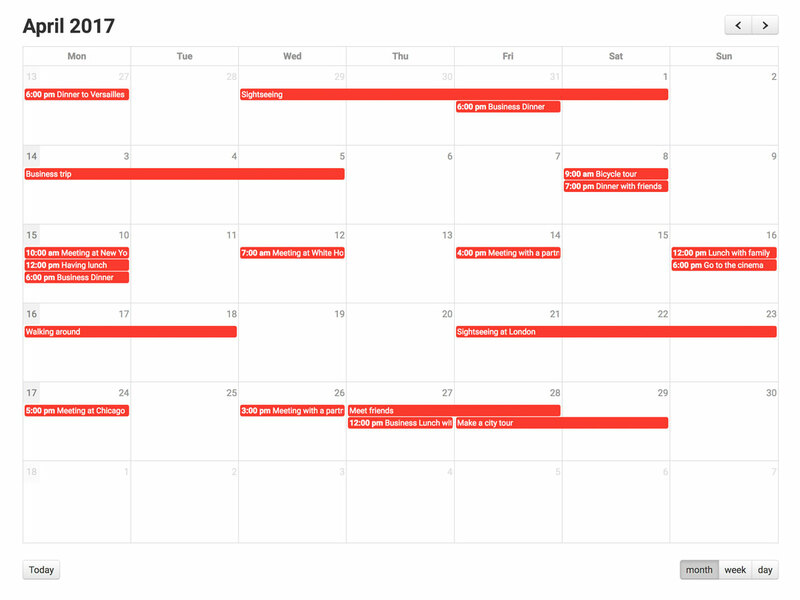 Colors can be easily changed from the Backend of the Joomla iCloud Calendar Module. Event Background, Border and Text Color can be changed individual for a perfect integration into your site. This Joomla iCloud Calendar is fully responsive and works at all devices. You can also enter several Breakpoints in Pixels when the Module Height should be resized. Or enter custom CSS Media Queries in the custom CSS Section. It's also your choice to decide what happens when a user clicks a event. For default a Popup (very similar to a Lightbox, made with Magnific Popup) appears with some Details where you can enter in the iCloud. But it's also possible to disable the Popup. The Header of the Popup can also be easly customized. 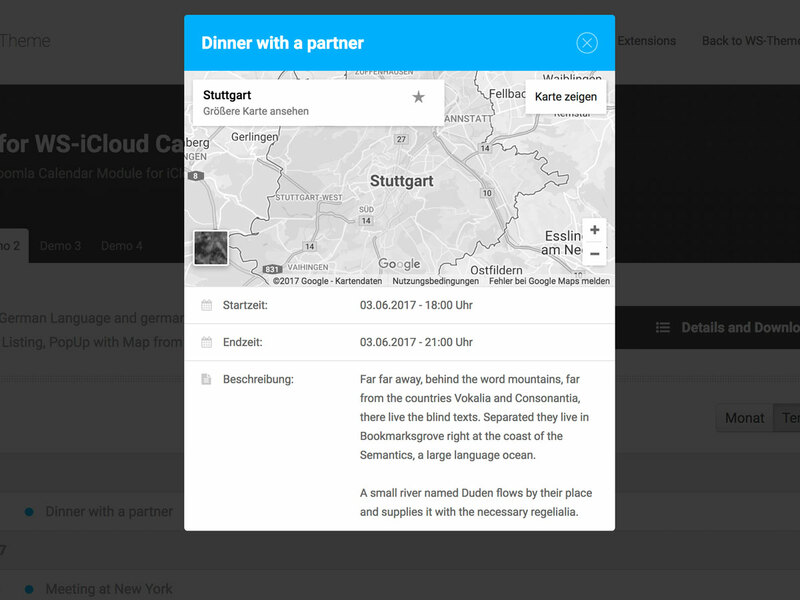 You can disable the Header, show the first found Image of the Event (when uploaded some to iCloud) or display a Google Map for the Location of the Event. When choosen the Image Header, our Module will look for the first found Image (JPG, PNG or GIF) in the Event and displays it in the Header which looks really awesome. For the Popup View you can easily define which fields are displayed. Of course empty fields are always hidden but you can also control all other which have content. In the Backend there is a CSS Area where you can easily add your own CSS for the Joomla iCloud Calendar Module, this field can override all the default CSS. For the general Module we have developed a new and professional Backend for Joomla cause of better overview. More controls and better look. We love our Extension and our Customers, this is why we provide you with a awesome Support, also if you want to have some optical changes, we can easily help. But please note, we don't support conflicts with 3rd Party Extensions. WS-Theme was founded by Oliver Mayer in the year 2012 in Germany. From the beginning we're focused at Template & Extension Development. How to create a Shadow Menu and why should I do this? Is the responsive feature of a Template removable?